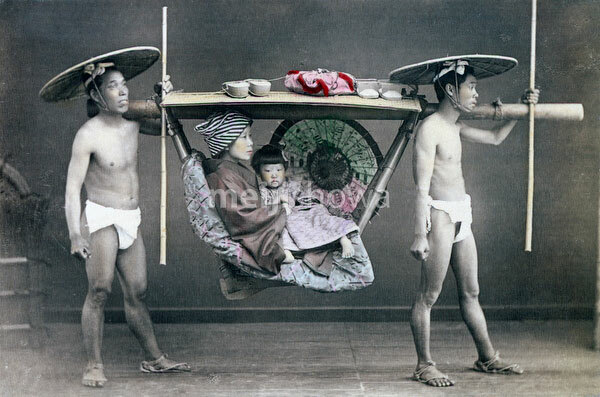 Group portrait of a mother and child in a kago (palanquin) carried by two bearers. The bearers have traditional hairstyles and wear loin cloths, straw hats and straw sandals. They are holding ikizue (breath sticks) to regulate their breathing while walking.